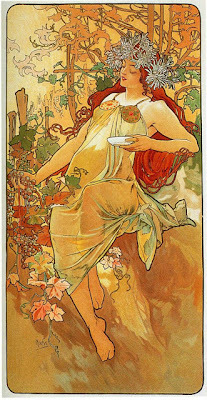 I just love this painting and am going to have to check out the rest of this series. There is so much that attracts me to it; the colors, the sensuousness of the woman, the trees loosing their clothing, the falling leaves and the green ones struggling to hold on. But I finally was able to narrow into a few items. 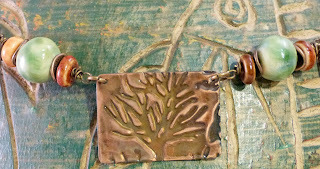 I decided to focus on the trees with a beautiful copper focal from Ema K Designs. 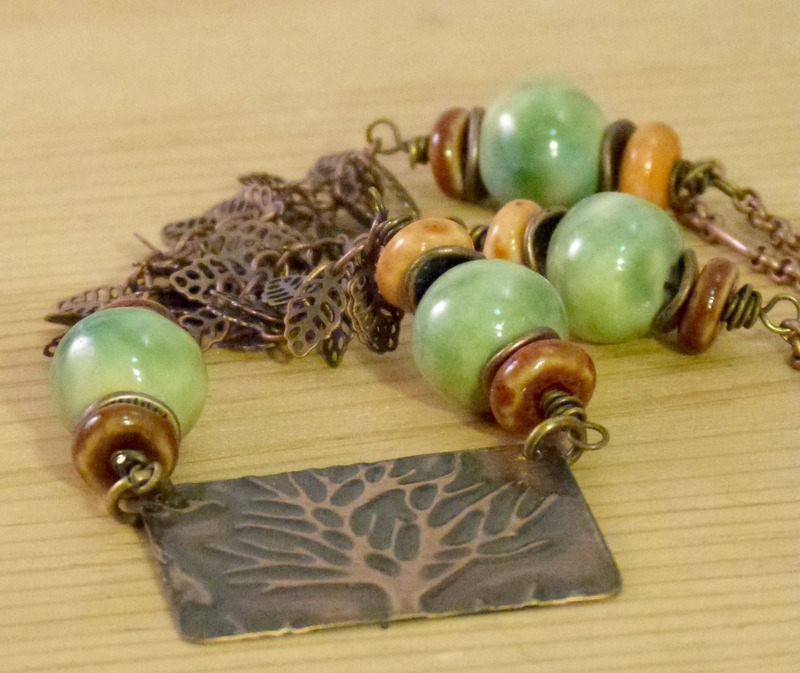 The green ceramic beads by Tinas BeadMind are to pay homage to the last bits of summer. 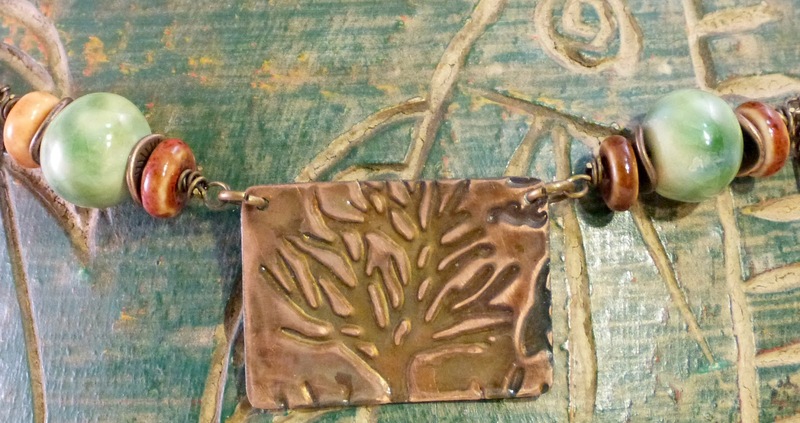 To round it all out are some orange and brown ceramic rounds given to me by a Bead Soup partner and the chain to symbolize the dancing falling leaves.